At SignCorp Inc., our team is committed to helping you turn passersby into customers by crafting a unique sign for your business. In fact, our dedication has led us to extend our creativity and expertise to businesses across Central Florida in Orange County, Polk County, Hillsborough County, Osceola County and beyond, including Tampa, Orlando, Sebring, Lakeland, Winter Haven and more. When the road doesn’t lead you to success, our high-quality signs will. We work endlessly to alleviate the confusion of the signage process and aid you throughout the project. This way, you can focus on the success of your business, while we focus on the creativity and effectiveness of your indoor or outdoor sign. Our team knows signs. 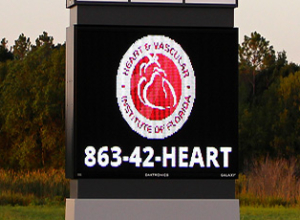 Even better, whether it’s creating LED signs in a Central Florida town like Sebring, or illustrating a concept for a pylon sign in Tampa, FL, we have spent years perfecting the art of making signs. 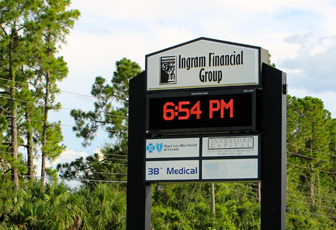 Our industry expertise has made us the electrical signage company that Central Florida businesses can trust to create a sign that showcases a company’s personality and boosts a business’s awareness. When it comes to creating an eye-catching sign, SignCorp is the only stop you need to make. From design to maintenance, our electrical sign company is equipped to handle the full spectrum of any indoor or outdoor sign service for businesses across Hillsborough County, Osceola County, Polk County, Orange County and beyond. When searching for the right outdoor sign for your business, you’ll find that signs can come in all shapes, sizes, fonts, colors and types. In fact, each sign is tailored to serve a specific purpose. 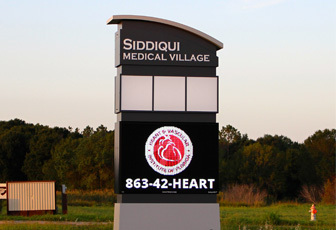 So, whether you’re in need of monument signs in Central Florida or electronic outdoor reader boards in Orlando, FL, SignCorp will create the sign that you desire—no matter the size or intricate level of the request. At SignCorp, our illustrators possess a level of passion and creative drive that can’t be taught; rather, it must be engraved in ones’ DNA. That’s why, when you come to our company with your signage need, our team will take time to get to know you, your character and your business’s personality. Then, we take our discoveries and weave those details into our custom digital illustrations—ultimately, creating a unique indoor or outdoor sign that is tailored specifically around you and your business. Now, you can’t put a price on that type of quality and service. At SignCorp, we hold the golden ticket to your sign desire—a hard-earned electrical sign specialty contractor’s license. 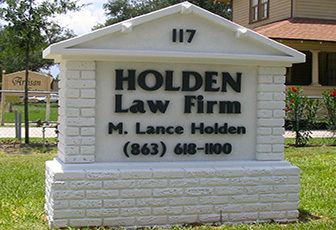 That’s because, in Florida, the only way a commercial sign can be installed is by obtaining the very license that we hold. This means that, if you want a sign, you need our expertise—and our commitment to your complete satisfaction is just an added bonus. It’s time to turn your vision into a reality. At SignCorp, sign design is a rather simple process: you come to us with your need for a sign, we illustrate an eye-catching concept, and then, we make it—with, of course, a lot of creativity, collaboration, dedication, and hard work in-between. 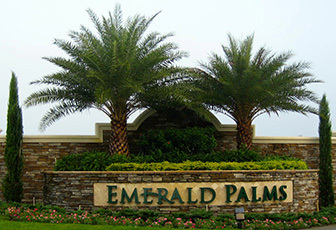 Our company has the expertise and vision to design a sign that stops customers in their tracks. You’ve brought your need for a sign to our attention, we illustrated a personalized idea, and, together, we agreed on a finalized sign concept that you could once only dream of; the hard work is complete. Now, it’s time to bring that idea to life. 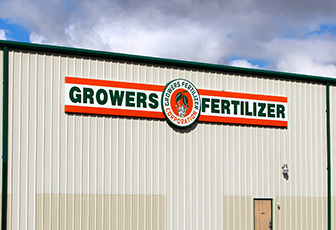 With SignCorp’s sign fabrication techniques, our team will utilize their craftsmanship and skills to provide you with a sign that will stand for your company and with your company—for years to come. At SignCorp Inc., with our project management service, your sign, your company and your needs become our priority. A dedicated member of our team will work with you through the entire signage process to ensure that every detail of your project is accounted for—from conception to completion. There’s more to a sign than just creating it. 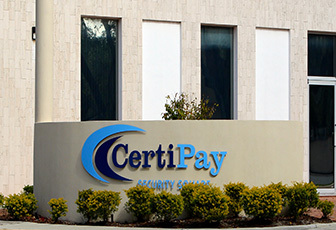 That’s why SignCorp performs sign installations with attention to every detail. Even more, over time, signs have a natural tendency to lose their eye-popping presence; unless, of course, they are properly maintained. Our team not only ensures that your customers see your eye-catching sign, but also that it retains its structure, illumination and durability.